Let your voices be heard, share your stories, and be heard by all. Please be sure to read at least 3 other posts and leave comments. 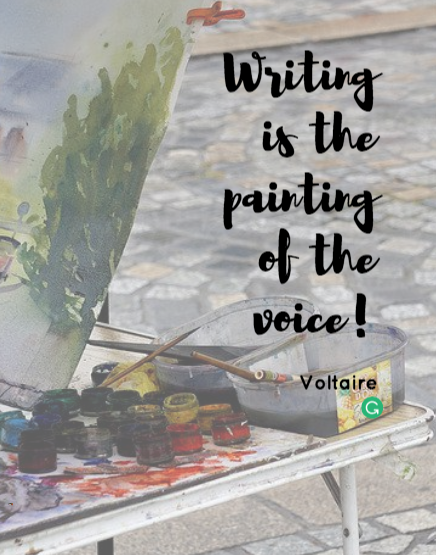 Comments help us build our writing community! Several Slicers have reported that it’s difficult to leave comments on Blogger blogs that don’t have all of the commenter options opened. 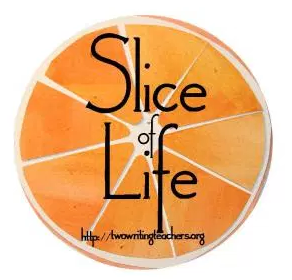 The Slice of Life Story Challenge is not just about writing; it’s about building relationships through commenting and getting feedback from others about your writing. 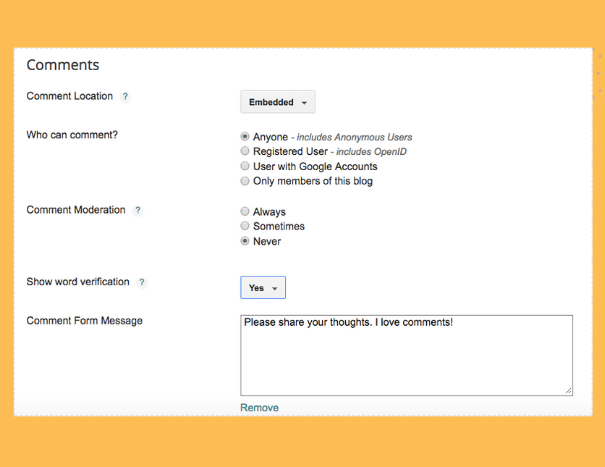 Therefore, we ask you go into your commenting settings and select “anyone.” By selecting “anyone” you’ll make it easier for people to leave comments on your blog. 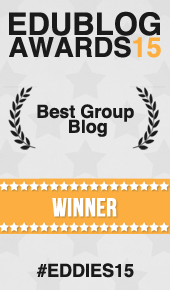 While it’s up to you whether or not to moderate comments, some Blogger users, such as Michelle Haseltine who is a long-time Slicer, never moderates her blog’s comments and rarely has issues with spam. Last week, Kathleen requested Blogger users to remove the CAPTCHA function since this, too, makes it difficult to leave comments. When CAPTCHA is turned on, the page often reloads several times and often deletes a comment in the process. Therefore, if the commenter isn’t someone who knows you well, it’s likely they’ll move onto another blog without taking the time to leave a comment. We don’t want this to happen to you, which is why we’re mentioning this again. I’m a day late too! Finally, after a long battle…my One Little Word. It was pesky, elusive, and stubborn. In fact, I almost chose “pesky”, “elusive” or “stubborn” just because. Sheesh. I can’t wait until March … it’s really going to happen! Whoops. I posted on last week’s date at first. Phones— gotta love the tiny screens! You just have to keep your eyes open and keep being flexible. Is It Any of My Dang (Digital) Business? Thoughts on music & memories. While our weather is pretty mild compared to other places, it can still be challenging for us. I’m a weather watcher, just like my dad! The moment when you find a child who didn’t like reading glued to a book. it has been a rough several days! This morning panic set in. “No Devices At The Table” – says who?! One day I’m working with teachers, the next day I’m snuggled up with my son reading board books. I wouldn’t trade this life for anything. So if you haven’t heard, Hawaii experienced a (false alarm) missile threat this past weekend. By far, the most scared I’ve ever been and I knew it would be something I would write about. Currently what I’m doing verses what I should be currently doing. Reunited with an old friend…the slicing community! A slight parking lot issue. A simple post inspired by one of you last week! This slice is a mix of a few students I’ve known throughout the years that have touched my heart. A follow up to last week’s post about my malfunctioning dryer. I grew up poor and lived part of my childhood and revisit it this week. This week I reflected on my old home. I love running a Mock Sibert Award with my 6th graders! Reflections on a career of teaching. Has it already been 35 years and time to move on? What does MLK day mean to you? Some thoughts and resources . . .